Put a deposit down on one of these (16 plate with 19k miles) and looking forward to becoming s new owner. Can anyone comment on things to look out for when i go to view and test drive next week? 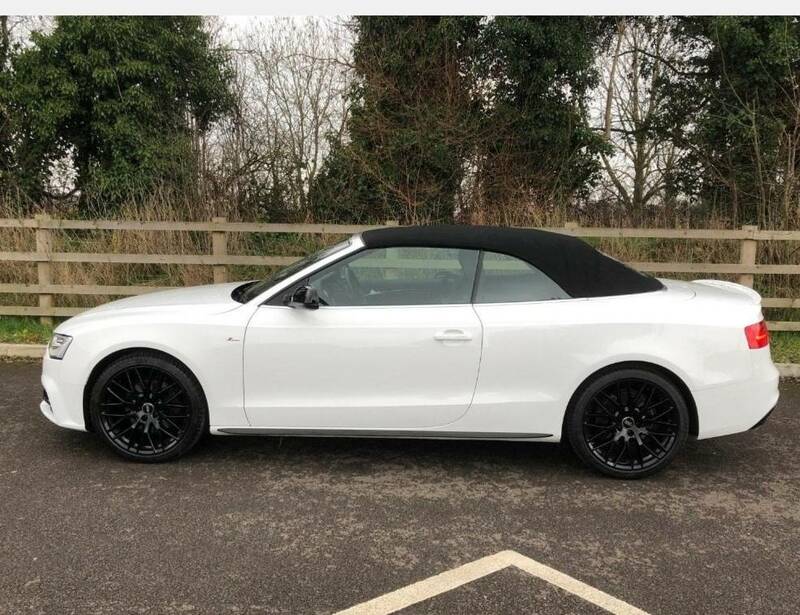 Its white with 19 inch black wheels so it looks quite stunning..
Hello Gkinghrn, and welcome. I would expect everything to be pretty solid on a 16 plate 2.0TFSI. The oil burning issue of the earlier 2.0’s was well sorted by then, as were most of the other more common bugs. Look for the usual things like signs of accident damage etc. If you’re buying from a main dealer the. You will have the security of at least 1 year warranty. If it looks straight, then go for it and have fun! Just one thing... I’ve not heard of special edition plus. If it has the black 10 spoke Y wheels it’s likely a Black Edition Plus. Had one myself in 3.0TDI flavour ... great car. Last edited by Gkinghrn; 30th March 2019 at 12:24 AM. Yeah you’ve got a Black Edition Plus there mate. They are the gloss black 10 spoke Y wheels, and you’ve got the rear boot lip, black mirror covers and deeper from spoiler. Very nice. Enjoy.